The Agu Tarvisio WIND bibtight with seat pad black men are perfect for the winter. The warm and elastic Lycra fabric provides muscle stimulation and freedom movement. The crotch and the knees are reinforced for increased durability. The mesh inside insulates and ensures a breathability. The Agu Arona cycling jacket black women is a sporty women's jacket for cycling in winter weather. The Arona jacket is the best women's related agu jacket, by his wind and water protection. Made of a WNDPRF-X200 fabric to give you the best comfort during the trip. 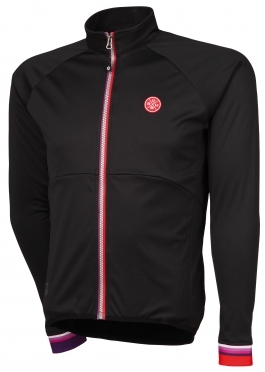 The moisture management and breathability of the jacket keeps you pleasantly warm and dry while cycling. 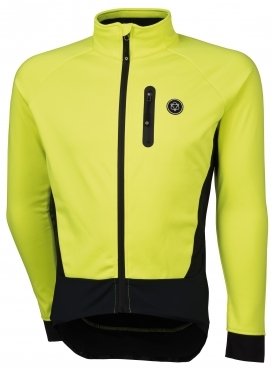 The Agu Tirano cycling jacket yellow (fluo) men is a great cycling jacket that provides excellent protection in cold weather. Water repellent and windproof Softshell X290 material keeps your body warm and dry. In addition, this cycling jacket has excellent breathability and an elastic gripper, that will keep the jacket in place while cycling. 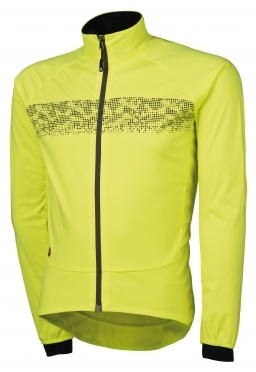 The Agu Nova hivis cycling jacket yellow(fluo)/reflection men is a lovely cycling jacket for winter conditions. It offers protection against wind, rain and cold weather and has outstanding breathability which will keep your body warm and dry. The elastic gripper holds the Nova HiVis in place.